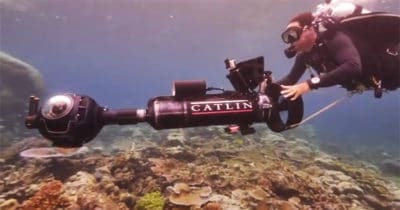 LANDOVER, MD – The Khaled bin Sultan Living Oceans Foundation (KSLOF) is celebrating World Oceans Day with the launch of a short film detailing their research with XL Catlin Seaview Survey in the Solomon Islands. 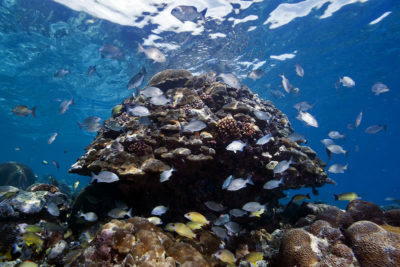 For World Oceans Day, XL Catlin Seaview Survey, in conjunction with Google, launched its largest ever collection of underwater imagery in Google Street View, with virtual dives from over 40 locations worldwide, including the Solomon Islands. 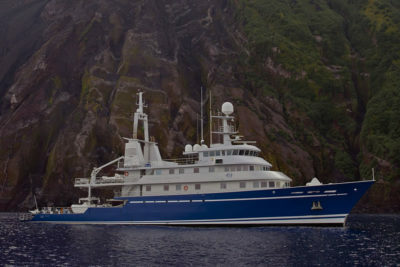 To collect the imagery for the virtual dives, the XL Catlin Seaview Survey scientists teamed up with the Khaled bin Sultan Living Oceans Foundation on the M/Y Golden Shadow. The film released today, 360⁰ Solomon, reveals how XL Catlin and KSLOF worked together to collect imagery and data of coral reefs in the Solomon Islands, and why this research is critical for marine conservation. The research vessel, M/Y Golden Shadow, was in the Solomon Islands last fall conducting surveys for the Foundation’s Global Reef Expedition – the world’s largest coral reef survey and high-resolution mapping expedition. The XL Catlin Seaview Survey science team, from The University of Queensland joined the Expedition and used their custom panorama camera system to take stunning 360⁰ imagery of the reefs. Over the course of 10 days, the team was able to document over 21 miles of reefs, all as part of an ongoing research project that aims to measure coral reef habitat diversity across the tropics and understand how coral reefs are changing due to human pressures. “The Solomon Islands coral reefs were the most diverse reefs we’ve seen on the Global Reef Expedition to date, supporting more than 600 species of corals.” Says Dr. Andrew Bruckner, Chief Scientist of the Khaled bin Sultan Living Oceans Foundation. Coral reefs worldwide are undergoing rapid changes, with large losses of living coral and fish and in some cases coral communities are shifting to algal meadows. Dr. Bruckner estimates that “About a quarter of all reefs have disappeared in the last fifty years and another third are in critical condition,” which is why education and outreach tools like films and virtual dives are critically important. The Khaled bin Sultan Living Oceans Foundation and XL Catlin Seaview Survey are working together to research and save the world’s imperiled coral ecosystems. In addition to providing content for Google Street View, initial reports from the research conducted on this research expedition are available on KSLOF’s website for use in coral reef conservation and management.